Death row sentences were commuted for four men in Maryland who were facing execution. Thanks to Gov. Martin O’Malley, the death row inmates will now serve life sentences without parole. Gov. O'Malley successfully led the effort to repeal the state’s death penalty law in 2013, but lawmakers did not address the fate of inmates already under death sentences except to allow them to serve life without parole. The four men are Vernon Evans, Anthony Grandison, Jody Lee Miles and Heath William Burch. All four had committed murder, and Evans and Grandison had been on death row for 31 years. "The question at hand is whether any public good is served by allowing these essentially un-executable sentences to stand," O'Malley told the Baltimore Sun. "In my judgment, leaving these death sentences in place does not serve the public good of the people of Maryland — present or future." O'Malley said in a statement that he had spoken recently to the survivors of some of the victims of the four men's crimes. He expressed gratitude toward the family members for sharing their thoughts and said he had concluded that failing to act would "needlessly and callously" subject them to an "endless" appeals process. One family survivor wasn’t convinced, and she expressed her feelings to NBC News. "I'm devastated," said Mary Francis Moore, 71, whose father, Robert Davis, and stepmother, Cleo Davis, were stabbed to death with scissors by Burch in 1996. "I kinda lost a little faith in the judicial system. I don't know how someone can pick up a pen and change the sentencing of someone." Before their sentences were commuted, the inmates were in no threat of being executed. There had been a death penalty moratorium in the state since a 2006 Court of Appeals ruling voided the death penalty. Eliminating capital punishment in the state had been the focus of work by grassroots organizations like Maryland Citizens Against State Executions. The remaining four inmates on death row represented a job that was not yet completed. “For everyone involved, this is the best course of action," said Jane Henderson, who was executive director of the group. "These cases were going to go through the courts and go back and forth in appeals until some sentence was determined," she added. 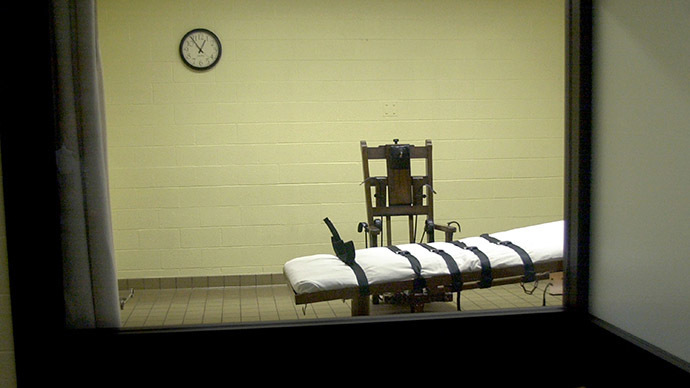 "This has been the problem with the death penalty for many, many years. It puts families through a roller-coaster. What the death penalty does to the families of victims is just cruel, and it was always going to be that way." Other groups, meanwhile, are hoping that O’Malley’s decision will echo across the country and create momentum in other states. “Hopefully Governor O’Malley’s actions can usher in a new era of leadership on the death penalty in 2015. We need and welcome more policymakers who will stand up and tell the truth about the real cost of capital punishment: It squanders our values, diminishes our humanity, and wastes precious public resources and energies on a policy that is demonstrably unworkable," said Diann Rust-Tierney, executive director of the National Coalition to Abolish the Death Penalty.